Even a small paper shredder in the home is clutter, so having scissors which do the same job is great. 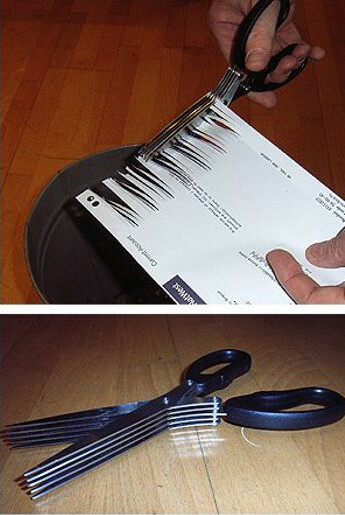 Keep the shredder scissors by you when opening mail. Then when you want to chuck something with an address showing, SNIP, 5 blades cut into the paper turning your address into strips. Some people use these for snipping herbs too. So now you can be secure from identity theft AND eat well. Shredder Scissors text, images and video are copyright.